Across summer term we are learning about Claude Monet's artwork. We are looking closely at his work and how he pieces together his work to create a final piece of work. We have been working with watercolour paints too! 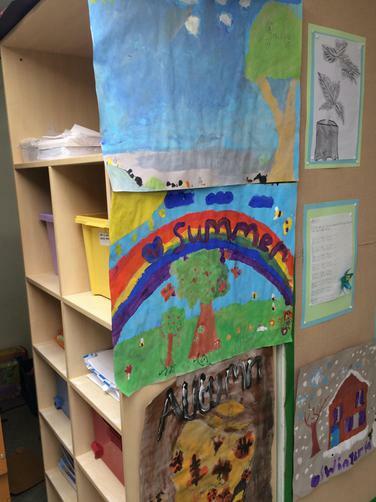 We have worked with art students from Hugh Baird this term to create some paintings to go around our classroom.